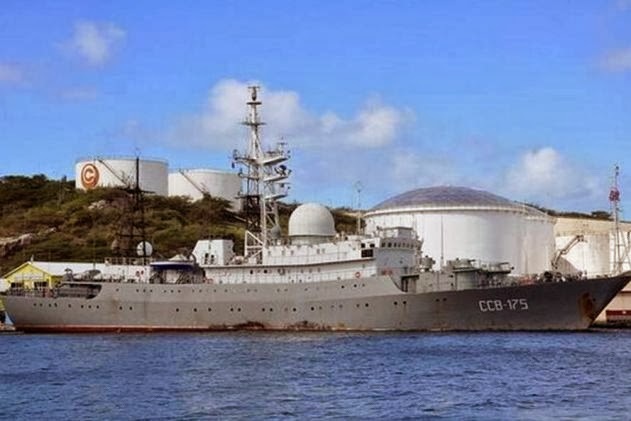 WILL RUSSIAN INTELLIGENCE SHIP IN THE CARIBBEAN PROVIDE OVERWATCH FOR ARRIVING IRANIAN MISSILES ? 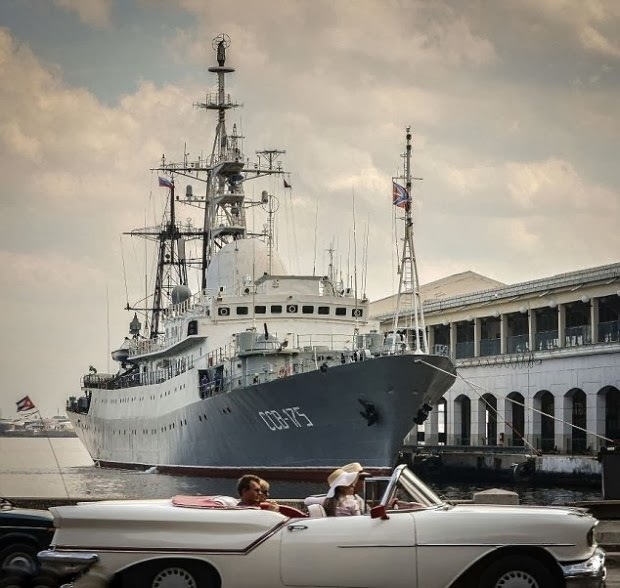 The Victor Leonov, SSV-175, a late-model Russian-built intelligence ship, specializing in electronic surveillance, but also armed with two SAM batteries, and which is assigned to Northern Europe, has been spotted picking up provisions in Havana harbor. See the photos above and below. 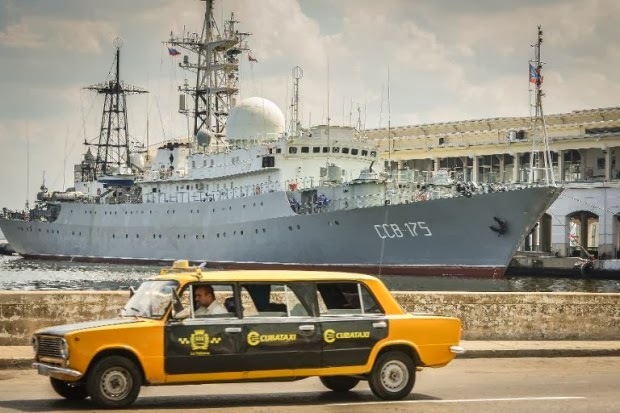 Unlike other very public Russian fleet arrivals, this vessel came in quietly, and without any advance notice. It has been loitering around the Caribbean for a reason. It was also seen in Curacao; some observers believe that it is awaiting the arrival of two Iranian vessels, one of whom is reportedly carrying Shehab-3* missiles, destined for Venezuela's beleaguered Maduro regime. The Curacao picture, which can be seen below, was taken on January 30. Has this ship been jamming signals in Venezuela ? The last thing we need in South America is Iranian-manufactured missiles in the hands of a radical state, which pose a potential threat to Colombia, and to numerous US military installations in the area. Our thanks to the saber-rattling Russian Government for its support of Iran in America's backyard, and for assisting in the raising of Country Risk on Venezuela. * Medium-range ballistic missile, maximum range 800 miles; not quite enough to reach Miami, but sufficient to threaten the entire Caribbean. 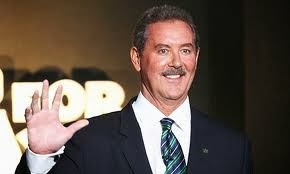 WHY IS ALLEN STANFORD'S CRIMINAL APPEAL IN LEGAL LIMBO ? R. Allen Stanford, perpetrator of the massive Stanford International Bank Ponzi scheme fraud, and currently serving a 110-year sentence, in Federal custody, can't catch a break. He discharged his attorneys, and convinced the 5th Circuit Court of Appeals to allow him to proceed Pro Se, as his own counsel. The problem is, intentionally or inadvertently, his appeal appears to be stalled in a legal Twilight Zone, going nowhere fast. Last July, when the appeals court granted his counsel's motion to withdraw, and allowed him to be his own attorney, the Court halted the briefing schedule, which provided deadline dates for briefs to be filed, by both sides. It also notified the court staff responsible for the case that the briefing schedule was therefore cancelled, due to the change in counsel status. I can only assume that the Court presumed that the Clerk's Office would reschedule the dates that briefs were due, but this, unfortunately, has never happened, which I noted in a recent scan of the court docket in the case. Six months have gone by with absolutely no activity. What is it that you say, what's the rush ? I would hate to see this Ponzi schemer get an undeserved break, of any kind, on purely procedural grounds, because court clerical staff failed to move the case along in a timely fashion. Start the music, please, give Mr. Stanford his appeal, which is as a matter of right, for even the most despicable criminal deserves Due Process. 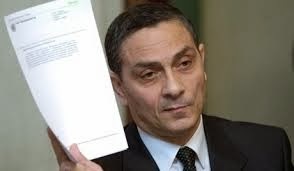 Though his rambling, but otherwise perceptive, Pro Se letter to the Court states that the enclosed material constituted his grounds for a New Trial, Richard Chichakli appears to have already selected his points on appeal. The defendant wrote to the trial judge, in one letter advising that he wants a new Stand-By counsel, for the reason that counsel has not contacted him regarding any post-verdict matters, and in another letter, detailing his reasons for a new trial. Chichakli, who has failed to cite to any primary authority in his letter, persists in asserting that the trial was flawed. I will quote herein his issues, making minor adjustments for grammar, and to replace non-legal terms, but otherwise verbatim. Remember, he is composing this material while in custody, in a temporary location, and without any legal or clerical support. We call those adverse conditions, and if you have never had that experience, consider yourself informed that it is a trying experience. (1) The defendant was not afforded a fair opportunity to prepare a complete defense, in violation of his Constitutional Rights. (2) A non-expert witness was allowed to testify as an expert. (3) His cross-examination of government witnesses, regarding their credibility, was denied. (4) The Government conspired with the Bureau of Prisons to obstruct justice, and deny the defendant his Constitutional Right to prepare and present a complete defense. (5) The jury communicated prejudicial comments to the Court, and they therefore could not render an impartial and fair decision. The Court has scheduled a conference with all parties; Chichakli's pending post-trial motions remain pending, and the scheduled sentencing date is fast approaching, so a ruling should issue soon; Stay tuned. Desperate to raise funds to cover the record budget shortfall, the Republic of Panama has passed, and reportedly immediately implemented, a two per cent tax on foreign profits of Panama-based companies. I do not know whether the Martinelli Administration has thought this out, but the Panamanian economy could take a major hit because of this heavy-handed approach, taxing their offshore companies out of existence. Panama City accountants, who have been contacting their corporate clients.and notifying them of this new legislation, advise that the Ministry of Taxation is demanding compliance forthwith. 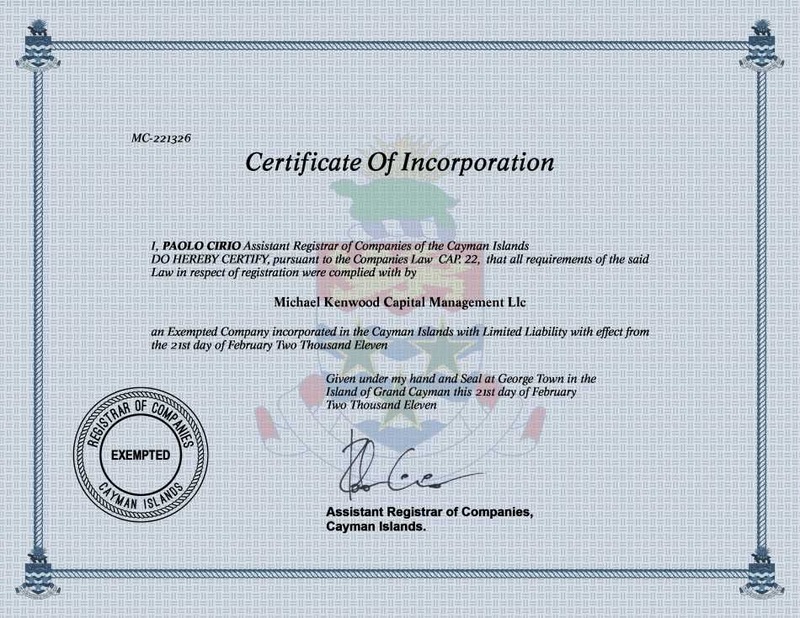 The most disturbing aspect of this law is that the Ministry is counting all funds repatriated to Panama in the calculation of the tax, which totally ignores the fact that many foreign companies wire funds into their panama accounts to cover overhead and operating costs, and this is not profit, as the term is commonly defined. The taxing authority is, frankly, looking to exploit foreign companies. This new tax law abolishes Panama's existing legislation, whereby foreign profits of a Panama company are not subject to income taxation. It will effectively destroy Panama as an offshore financial center, in short order, unless repealed. You may recall that a similar law passed during as holiday period recently was quickly amended, where provisions added amounted to a repeal. Unless this new tax law is scrapped, expect a major disruption in the country's thriving offshore industry, major layoffs of staff, and efforts of foreign companies to close down their operation. The US Senate Subcommittee on Investigations yesterday released a 175-page report on the efforts of Credit Suisse bankers to aid and abet US taxpayers in hiding billions of dollars. Entitled Offshore Tax Evasion, the report details the organized efforts of Credit Suisse bankers, in pursuing, and landing, the accounts of wealthy Americans bent on cheating the taxman of their millions. (1) Assisting clients in forming corporations, trusts and foundations, in Switzerland, Liechtenstein and Hong Kong. (2) Bringing cash to the US, for their clients, or picking up cash, to be circuitously placed in their hidden Swiss accounts. (3) Advising clients on securities investments, in violation of US Securities laws. (4) Concealing their US-based activities behind "tourism" visits. (5) Classifying US taxpayers as non-US, for reporting purposes. (6) Carrying on a variety of acts, to facilitate client evasion of US taxes, reporting requirements, and filing obligations. Was their conduct as bad as that exposed earlier, by US authorities, regarding UBS ? It was, in my humble opinion, worse, if even a part of the report is to be believed. However, these sins and transgressions pale before the reprehensible and dilatory conduct of Swiss Government authorities, who have flat-out obstructed American efforts to obtain the names of US taxpayers that 14 Swiss banks assisted in tax evasion, since 2011. 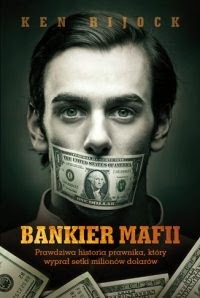 The Swiss have pulled every stunt imaginable to drag out the proceedings, interpose government between themselves and their guilty banks, and ignore 33 American arrest warrants for Swiss bankers. They have derailed all American efforts to move the investigations forward, delayed and deceived the Department of Justice, and in general, succeeded in totally frustrating American efforts. Perhaps it is time for the US Department of Justice to take of the gloves, and get tough with Swiss Government officials; otherwise the investigations will continue to wither on the vine. Only one of the 14 Swiss banks under criminal investigation has been indicted, seven years later. Someone in a leadership role at DOJ needs to step up on this; enough is enough. Some international bankers, after reading this report, may decide to raise Country Risk for Switzerland, for if the banks and the Swiss Government will do this to the US, what will they do to your bank, or have they done it already ? 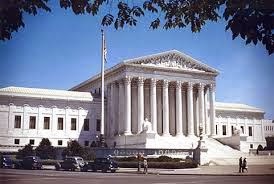 The United States Supreme Court* today ruled against two indicted defendants, who, charged with reselling stolen medical devices, and laundering the proceeds, sought to engage Miami counsel of their choosing, and pay them with assets which the US Attorney had obtained a pre-trial restraining order against, preliminary to a criminal forfeiture, to take place after their conviction. The Defendants challenged the pre-trial freeze on their assets, in a hearing at the trial court level, which was convened to consider the legality of seizure. The Eleventh Circuit Court of Appeals held that the defendants could not challenge the factual foundation supporting the probable cause determination of the Grand Jury. The Issue: whether indicted defendants are constitutionally entitled, at such a hearing to contest a Grand Jury's prior determination of probable cause. The Court held that the defendants have no right to relitigate the grand Jury's findings. An interesting note: there were three justices who dissented; the Dissenting Opinion, which was written by the Chief Justice, was joined by Justice Sotomayor. It makes a strong argument, based upon a defendant's right to appoint counsel of his choice. SHOULD AML/CFT DATABASE PROVIDERS BE ACCOUNTABLE TO YOU FOR ERRORS AND OMISSIONS ? 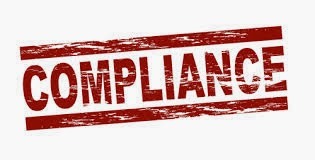 A reader recently lamented that anti-money laundering compliance is getting harder all the time, and one of the issues is that the commercial-off-the-shelf AML/CFT databases that compliance relies on are not accountable for their errors and omissions. This is a valid avenue of inquiry, to be sure, but does it not also remind us of the drawbacks in relying upon a packaged solution, rather than crafting our own ? For six years, at two firms, I regaled readers with war stories about writing and publishing articles about major criminals, only to learn that neither the event nor the participants were previously covered in the databases that I was writing articles for. A database should serve as an early-warning system, and not purely a repository of past evens. You want to anticipate future moves, so that you can reject or deflect them. We all know that no AML/CFT database can have every possible profile, but we trust that major criminals, PEPs and other suspects are included in the high-risk databases that we subscribe to, and access on a daily basis. Any database that indexes results by individuals and entities, rather than criminal acts, will never have all the necessary information. When a prominent bad actor is not found, and you discover his sins and transgressions elsewhere, during your own search, you realize that many information databases are, simply, a work in progress. They are rarely all-inclusive. Some large banks try to remedy the problem by subscribing to all the principal databases, but they still come up short. I am sure that, if you peruse the contracts that you have with the database providers, there is sufficient exculpatory language contained within to defeat any lawsuit for negligence, especially since the data is limited to that which is publicly available, unclassified, and accessible to any regulatory authority that wishes to verify it, when you take action, or decline to take action, based upon the information you glean from a database, so bringing a civil action is out of the question. So, what to do ? Do you knowingly utilize what you believe to be an incomplete, and therefore, only marginally useful, product, or do you create your own solution ? I vote for the latter; though it will be more time-consuming, you can trust the end results, and they will be accurate. conduct the enhanced due diligence yourself, and you will sleep much better, I promise. At present, there are a number of post-trial motions pending, including a Motion for a Judgment of Acquittal, and motions for a New Trial, and for Arrest of Judgment. The Government has responded with a memorandum of law in opposition. Since the defendant's sentencing has been scheduled for March 14th, it is anticipated that there will a ruling soon, to dispose of those motions. It is expected that Chichakli will appeal his conviction, and appellate procedural issues, and filing requirements, can be difficult for a non-lawyer to handle, without the benefit of counsel. 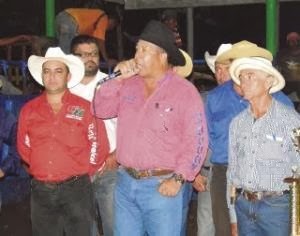 Cesar Guardia, a Panamanian criminal defense attorney, was assassinated the other day, after attending a rodeo. He is the third attorney working on money laundering or narcotics trafficking cases to be killed in the last three months. While I am aware of ten other attorneys who were also killed under similar circumstances, in the recent past, there has been a marked increase of late. Clients may choose to do business elsewhere, when personal risk increases, as they will be unwilling to monitor their Panamanian investments, placing their safety first, which could impact the growth of the economy. If you have not read my December article on Panama crime as a factor in Country Risk, you can access it here*. Learning whether your prospective client is a Politically Exposed Person, or PEP, a senior* government, NGO, military, or non-profit executive, with access to government accounts, or who might be the recipient of bribes, kickbacks, or other illicit payments, due to his office, used to be fairly simple: you accessed one or more of the popular commercial-of-the-shelf databases of high-risk individuals, and you looked for his profile**. If he was in there, you knew that, if you accepted his businesses, you must monitor account activity, lest he move dirty money through your bank, subjecting you to possible willful blindness charges, or reputation damage, due to negative media coverage. You may have declined his business entirely. Things have now changed, due to the increasing sensitivity, of businessmen engaged in sordid activities, to being designated as a PEP, due to the consequences of being profiled as such, in the databases that the compliance industry relies upon. 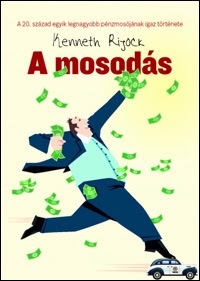 These dodgy individuals, who fear being denied access to accounts at the world's largest banks, have resorted to the usual actions of a scoundrel, who is concerned that his illicit cash flow could be turned off: retain an attorney, for the purposes of cleaning up, or even removing, their profile, which they deem an impediment. (1) The information on their client is outdated, and therefore no longer correct. (2) The information is inaccurate. (3) The database is incorrectly linking their client to wrongful activity, or declared PEP status. He is not a PEP. (4) Any charges alleged against their client are purely political in nature, and there is no factual basis for them. (5) Their client was charged in a corrupt legal system, where business rivals or political opponents can have criminal charges filed through bribery. (6) Their client was cleared, or the case will never be set for trial. Sometimes, the advocacy is teamed with threats of impending litigation, and since database providers want to support the news, and not be the news, in many instances, the database firms cave in, and either amend the profile, or delete it entirely. This is done in a very quiet way, without any notice to the subscribers, and any subsequent search of the individual's name will not reflect the original information. You may regard this is winning through intimidation, and you are correct in that opinion. The deletion of a Profile allows the individual to then seek to open accounts on a global basis, and conceal his or her PEP status; they usually profess to be private businessmen, with no links to any government. Therefore, especially when the prospective client is from a high-risk jurisdiction, do not dismiss him as a PEP, just because he is not in your high-risk database; he may have adroitly removed that entry. Check alternative resources, especially media native to his country, which may reflect his true PEP status. Watch yourself on this. * There are also intermediate-level government staff, such as attorneys, senior secretaries and advisers, who may have access to government funds, due to the fact that they work for a senior PEP who delegates much of his work to them. You may encounter one when your PEP client's financial business is regularly handled by a subordinate; treat this individual as a PEP, even though they are not technically qualified as such. ** I have written a number of articles on this blog, about the reputation restoration companies, who flood the Internet with positive information about their client, so that negative articles are pushed to the end of any search query. Non-financial firms, who routinely use Google exclusively, to conduct due diligence on clients, should avoid that method entirely, lest they conclude that a client is low risk,, when the opposite is actually true. Black Wasps, on parade in Cuba. 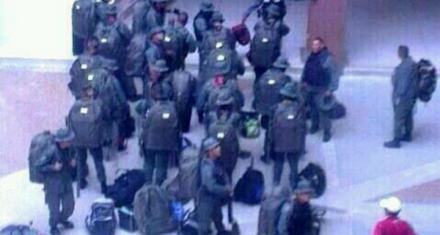 A large number of Cuban Army soldiers, from its Avispas Negras, or Black Wasp, units have arrived in Caracas, with the obvious intent of providing support to the efforts of the Maduro government to suppress Opposition protests. 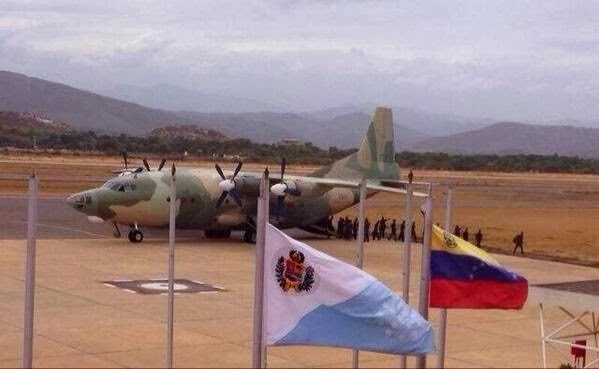 The Black Wasps, which are designated as Special Troops, have been seen coming into Venzuela. They have been observed at that time wearing wearing Guardia Nacional de Venezuela uniforms, and using firearms, in the streets, against unarmed Opposition protesters. 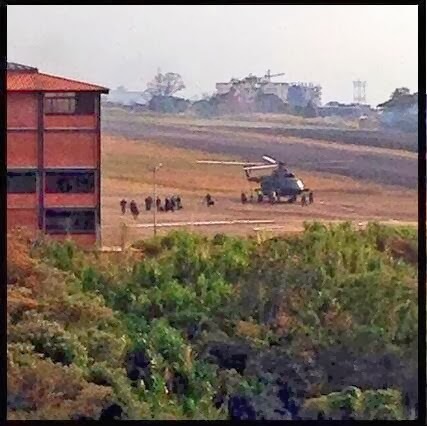 Black Wasps, being deployed in Venezuela. 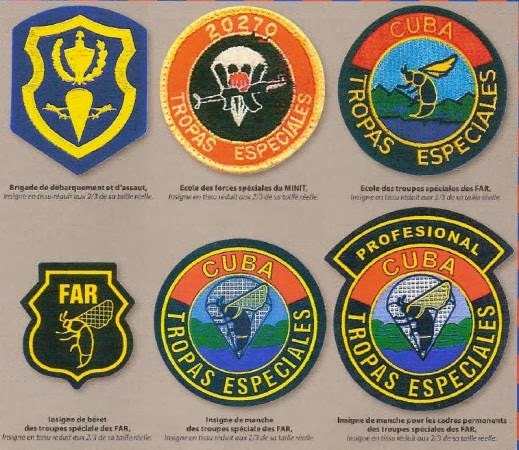 Though promoted by Cuba, as being the functional equivalent of American Special Forces, due to their advanced level of training, including cross-training in several military specialties, their true skill level appears to be equal to that of US Army Ranger units. 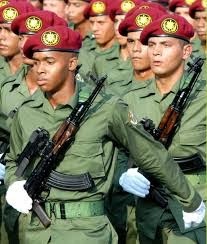 Black Wasp units, which fought in Cuba's African interventions, are not crowd control; they are professional soldiers, and their presence increases the risk of all-out civil war in Venezuela, which could destroy the economy in short order. Avispas Negras, on arrival in Venezuela last week. Note that they are not wearing their maroon berets. 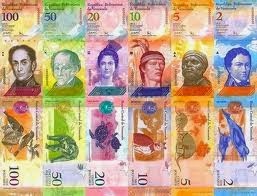 As the parallel (unofficial black-market) rate Bolivar-Dollar stands at 88 to 1 today, and is believed to hit 100 shortly, any increase in violence, caused by this new infusion of Cuban troops, will further weaken the Bolivar, and impact the Venezuelan economy. Therefore, the Country Risk assessment on Venezuela will increase further, and it is rapidly reaching the point where any financial exposure in Venezuela is not prudent, and where any existing client (or bank) financial exposure must be reduced forthwith, to avoid a possible total loss. DID HSBCs CLOSING OF ITS AML CENTER ACCELERATE THE IMPOSITION OF MAJOR SANCTIONS ? As regular readers of this blog may recall, I reported, two years ago, on the closure of HSBCs regional anti-money laundering center, which had a staff of 77. Less than six months later, US regulators levied massive civil fines and penalties upon the bank. Was there a connection ? Assuming that HSBC was aware of the rumors about an impending regulatory action against it, why did it, very publicly, announce the closure of its Buffalo regional AML center ? 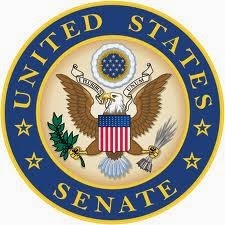 Such an announcement was certain to be sen by the very regulators who were investigating the bank's AML deficiencies. That action may have agitated regulators into accelerating their investigation. One wonders whether this was considered. The takeaway here is that, if there is the slightest possibility that regulatory agencies, or law enforcement, are investigating your bank, or NBFI, the last thing that you want to do is tweak the nose of that agency, by reducing your anti-money laundering capability. Regulators are people too, and therefore only human, and may take offense to your penny-wise and pound-foolish approach to compliance. Florida attorney Douglas Bates, who misled investors in believing that he had referred many major cases to master Ponzi schemer/attorney Scott Rothstein, has reportedly agreed to change his plea to guilty. Bates, a personal injury and workers' compensation attorney, allegedly was responsible for convincing Rothstein investors to pour additional millions of dollars into the Ponzi scheme. I believe that Bates is the sixth attorney to enter a guilty plea in the billion dollar Rothstein scandal, where Scott Rothstein deceived victims into placing their money into purchases of non-existent sexual harassment and employee discrimination suit structured settlements, at a discount, so as receive the full amounts when they matured. None of Rothstein's law partners have yet been indicted, and it appears that the Statute of Limitations will run at the end of the year, so expect more lawyers to be charged. The unofficial exchange rate, between the US Dollar and the Venezuelan Bolivar, has mushroomed past 85-to-1, and is predicted to hit 100-to-1 in the short term. Inasmuch as dollars are becoming impossible to obtain in Venezuela, businessmen who must have that currency to engage in international trade, are resorting to extreme measures to obtain it. This means that some currency brokers are known to be purchasing narco-dollars from individuals engaged in money laundering for their criminal clients. This cash is then being used to purchase imports, and ends up being deposited in financial institutions outside Venezuela, especially in the United States. Compliance officers at US banks should alert their front-line staff and tellers to watch for structured cash deposits from customers who operate businesses in Venezuela. Should the narcotics traffickers and money launderers who are vending the dollars subsequently be charged, and arrested in the United States, there is a strong possibility that, to reduce their sentences, that they will cooperate with law enforcement, and therefore give up information regarding who they sold dollars to. When as bank unwittingly accepts large cash deposits from a foreign customer, and does not made diligent inquiry as to Source of Funds, it can be charged with Willful Blindness, which is a money laundering offense. Please ensure that none of your well-meaning customer relationship officers allow bulk cash deposits from a Venezuelan customer, intending to assist him in paying for his imports, unwittingly committing one or more money laundering offenses. Should you decline to accept any large cash deposits from Venezuelan clients, given the chaos the country is presently experiencing ? That is a judgment call, but if it were me, I would refuse any such attempted deposits. 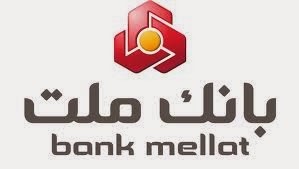 IS THE BANK MELLAT CASE THE SHAPE OF THINGS TO COME ? 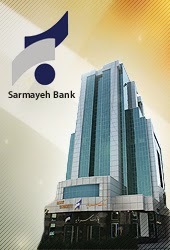 A civil action*, recently filed by Iran's Bank Mellat, against Her Majesty's Treasury, for monetary damages, after a court held that UK sanctions against the bank were unlawful, on both procedural and substantive grounds, may provide a hint of what is to come, sanctioned entities using the courts to remove sanctions, and then suing for damages for loss of business. I am frankly disturbed by its possible impact. Whether or not you agree with the legal reasoning in the British court decision, it may serve as a green light to attorneys for other sanctioned entities, to seek legal redress. Could it actually happen in the United States ? For guidance, I examined the criminal and civil cases involving Richard Chichakli, who unsuccessfully sought to have his OFAC sanction examined, and challenged, and conclude that sanctioned entities, or individuals will have a much more difficult time in the American Federal Court system. In any event, you will want to follow the progress of the Bank Mellat case in the UK, regardless of where you work in the world; We will be watching it here. The US Attorney's Office in Manhattan has filed a 33-page memorandum of law in opposition to Richard Chichakli's Motion for a Judgment of Acquittal, and in the alternative, Motion for a New Trial, asserting that there is neither a factual, nor a legal basis for the granting of either motion. Chichakli, who was extradited from Australia, was found guilty on December 13, 2013, on multiple counts, including money laundering. (1) He is entitled to a judgment of acquittal, pursuant to Rule 29, FRCP, as the evidence at trial was insufficient to convict him on any of the nine counts. (2) In the alternative, he is entitled to a vacation of the judgment, and a new trial, pursuant to Rule 33, because he could not properly prepare for trial, due to illness, and he was improperly denied the opportunity to call an expert witness. (3) He also contends that the judgment of convicted should be arrested, under Rule 34, because the Indictment fails to state an offense. 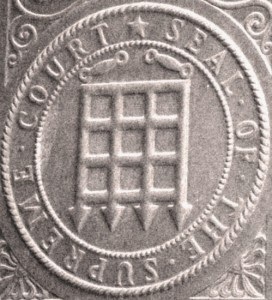 (A) The evidence at trial was more than sufficient to establish his guilt, and he has failed to meet the heavy burden that the case law under Rule 29 requires. 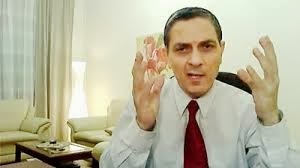 (B) Chichakli, in open court, voluntarily stated that he wished to go to trial; it was his stand-by counsel who advised that he was too ill to prepare for, and go to, trial. On the denial of his expert witness, the Court has the right to exclude any witness whose testimony consists solely of a legal conclusion, and that ruling is within the Court's sound judicial discretion. Rule 33 motions are only granted sparingly, to prevent injustice. (C) The Rule 34 motion, to arrest judgment, is without legal merit, and should be denied. The indictment is legally sufficient to make the defendant aware of the crimes charged, and to allow him to prepare a defense. The defendant's assertion, that he did not know what to defend against, is absurd; he had received discovery in the case that spelled out, in detail, the Government's theory of the case. A previous order allows Chichakli until February 27 to respond to the Government's memorandum; Sentencing has been scheduled for March 14. 2014. Court watchers, who have been anticipating the disclosure of the extent of the relationship between Chichakli and his partner, Viktor Bout, and the Central Intelligence Agency, in this case, have yet to see any details. Bout's Russian attorney has hinted around the subject, in interviews he has given to the Russian media, but nothing has surfaced to date. After the Court rules on the pending motions, Chichakli is expected to appeal his conviction, to the Second Circuit Court of Appeals. In a country where dissent and protest never occur unless there is official permission, this week, Vietnamese in Hanoi observed the anniversary of the bloody 1979 Sino-Vietnamese War. Vietnamese , especially veterans of that war, have long complained that their government has silenced any commemoration of their sacrifice; This apparently has now changed. China conducted a massive cross-frontier invasion, ostensibly to punish Vietnam for its invasion and occupation of Khmer-Rouge led Cambodia. There were heavy casualties on both sides in the short border war, which saw China capture a number of towns. 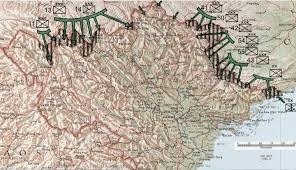 When Chinese troops withdrew, they conducted a scorched earth policy against territory that they had occupied. The fact that the government allowed activists to place flowers at a temple site, sing patriotic songs, and chant Anti-Chinese slogans indicates that recent Chinese action in the South China Sea has angered Vietnam's leadership, who maintain territorial claims to both the Paracel and the Spratley islands chains. China invaded the Paracel Islands in 1974, and wrested them away from the South Vietnamese Government, and Chinese efforts to control the entire region has damaged the relationship between the two countries. If anti-Chinese sentiment in Vietnam becomes more virulent, or a major armed confrontation in the South China Sea occurs, Vietnam could lose some or all of its lucrative international trade with China, and this would adversely affect your Country Risk assessment for Vietnam. Remember that China withheld Rare Earth elements from Japan, when there was a diplomatic row between them a while back. China could inflict some major damage upon the Vietnamese economy. This week's most troubling disclosure in the never-ending NSA scandal: The revelation that the emails of a major Chicago law firm were being intercepted, by the NSA's Australian intelligence counterpart, and forwarded to the National Security Agency, to be passed along to certain undisclosed US Government agencies. Was this an investigation of suspected international terrorists ? Not hardly; it was business intelligence, having to do with international trade competition between Indonesian companies, and American firms. Apparently the NSA's mandate, to protect America from terrorism, is loose enough to drive a truck through. The communications, between the American lawyers and their Indonesian clients, are certainly protected by the well-settled principle of attorney-client privilege, but NSA attorneys reportedly found a way around that foundation of American jurisprudence, to allow their agency to deliver the economic intelligence to its "consumers." 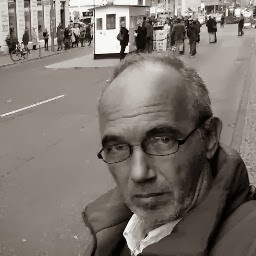 Now, if something as sacred as the attorney-client privilege can be disregarded, since the end justifies the means in the intelligence business, then do you really believe that your compliance communications, received from information sources in countries where the United States has a compelling interest, are not also being monitored ? This means that, should you be conducting an Enhanced Due Diligence investigation, upon a target that you later clear for an account relationship, but in which the United States regards as a person of interest for counter-terrorism purposes, your emails may be picked up, and passed on to an American agency for investigative purposes. You own emails could be later used as evidence against you, if you onboard the client; imagine that. In plain English, should you fail to reject a client who is later taken into custody, or charged with terrorist financing, you ( or your bank) may incur liability, all because of the information you received from an overseas source. which was monitored. This means your margin for error, as a compliance officer, just became much smaller. 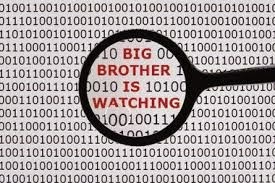 You cannot afford any mistakes, ladies and gentlemen, because Big Brother is watching your compliance email traffic. Govern yourselves accordingly, please, for it is a Brave New World, out there in cyberspace. SHOULD A COMPLIANCE OFFICER RESIGN WHEN MANAGEMENT IGNORES HIS RECOMMENDATIONS ON REFORMS ? The focus on assigning blame to the compliance officer, when regulators enact fines and penalties for anti-money laundering and other violations, when the deficiencies occurred on his or her watch, is increasing. Look at the penalties visited on the responsible compliance officer in the Brown Brothers Harriman & Co. case, or the eighteen month suspension of the individual who chose to ignore signs of tax evasion by clients from India, and you begin to see a trend; hit the individual who was the gatekeeper, as well as the company that he works for. I know that you will tell me that senior management has declined to implement the critical reforms you suggested, and that your hands are tied. The problem is that regulators are no longer satisfied with imposing fines and penalties on the bank or broker-dealer. They want to head of the responsible compliance professional as well. So what will you do ? 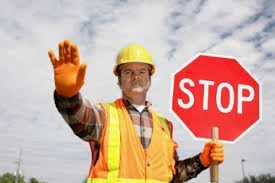 My candid advice, learned the hard way, when I served as a compliance officer at a billion-dollar investment firm; if your recommendations are not being adopted, and you see egregious and repeated AML/CFT deficiencies, you do not want to be there when the hammer falls, for it may also fall upon you. (1) Resign forthwith; if you are as sharp I think you are, you will have already checked out other professional opportunities available to you. (2) Make sure, before you depart, that you retain sufficient details regarding your history of urging that a meaningful and effective AML/CFT program be implemented. You will want to consult your attorney about the pros and cons of retaining specific information. (3) Your attorney may, after the consultation, advise you that he want to approach law enforcement or regulators first, ahead of the oncoming storm. There are issues to be resolved, such as immunity from prosecution, whistle blower action, and other matters, which are best discussed with him, to protect not only your professional reputation, but possible criminal or civil liability on your part. Each case is different, and some investigations proceed at a fester pace than others, so do not waste any time seeking competent legal counsel, and that means retaining a criminal defense attorney, and possibly also other help, experienced in dealing with Federal regulators. Your career, and potentially your freedom, are at stake here; do not delay in taking action, lest you find yourself in a defensive position, one that you may not be able to extricate yourself from. 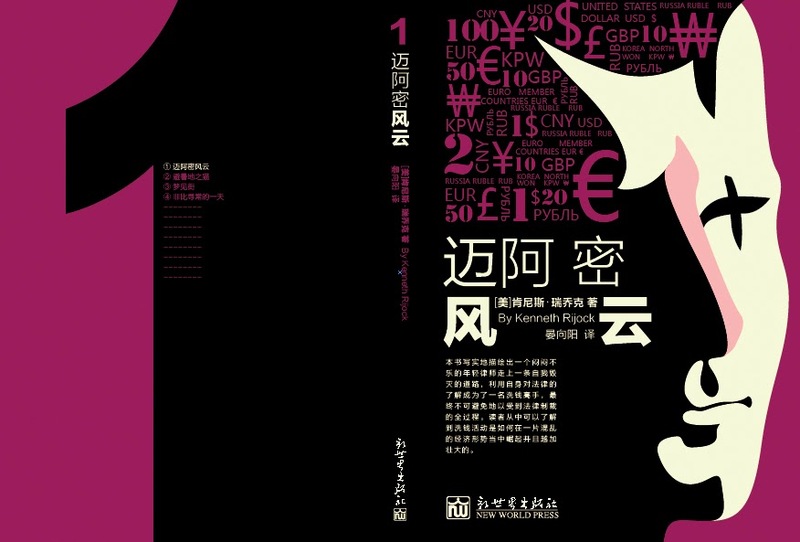 Above is the cover for The Laundry Man, in the Simplified Chinese version, which will be available later this year. If you have never seen some of the other foreign language versions of my book, I have posted some of them below. Dutch and French-language translations are in progress. Regular readers of this blog may recall that, several months ago, we discussed an underground radical group, located in the Republic of Panama, that was covertly obtaining weapons, ostensibly for self-defense, but in reality to oppose the Government of Panama at some indefinite time in the future*. More details on this group have emerged, regarding its membership, and professed principles. The group, which does not appear to have either a name, or identifiable leadership, is composed of American and European expats, all having radical leftist political views. It opposes the present Government of Panama, and aligns itself with many of the sanctioned Middle East and Latin American terrorist organizations. Some of its members have previously been associated with radical European groups, such as the Red Brigades, when they resided in the countries of the European Union. A number of the members formerly worked at the defunct Marc Harris Organization, a notorious offshore company that reportedly defrauded investors of $20m. Harris, who is currently serving a long prison sentence in the US, is due to be released April 2, 2018. The expat group, which has close ties to Hamas agents in Panama, has never made a public statement, or in any way acknowledged its existence, but is a close association of radicals who are providing material assistance to designated terrorist groups in Latin America. 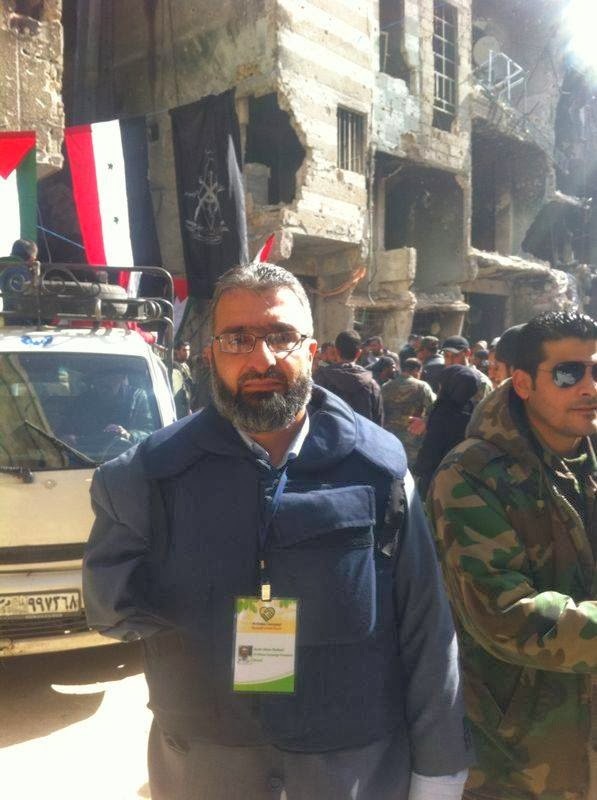 One of its members had an intimate relationship with the wife of a high-ranking Hamas leader in Panama. My sources advise that this group is known to the Panamanian Government's counter-terrorism agency. 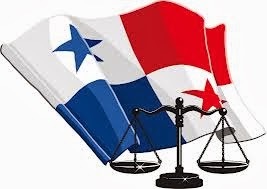 Compliance officers who bank Western expats residing in the Republic of Panama would do well to research the background of their existing clients, lest their bank be unwittingly involved in terrorist financing operations, conducted by this radical group, whose members are otherwise legitimate members of the Panama City business community; Enhanced Due Diligence in such clients is recommended, notwithstanding that they are long-standing customers.
" 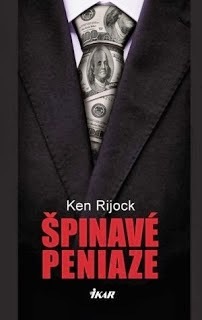 The charge of money laundering is a continuing offense for the purposes of the Statute of Limitations, but only when the record contains evidence of successive acts that facilitate and promote the common scheme to defraud." Id at 37. 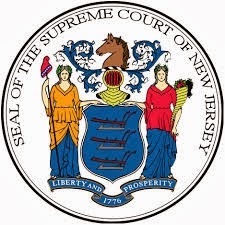 The footnote below provides a hyperlink to the complete text of the case, in which the Court analyzes existing state and Federal case law, and the legislative history of the New Jersey Money Laundering Statute, before explaining its decision. Christina Kitterman, a lawyer working at attorney/Ponzi schemer Scott Rothstei's law firm, was convicted by a jury of three counts of Wire Fraud yesterday. 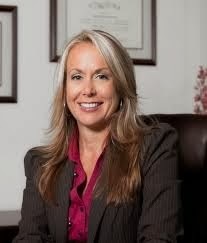 Kitterman impersonated a Florida Bar staff attorney in a telephone conference with Rothstein investors who were seeking some of their "profits," and she deceived the victims into believing that the state bar association was responsible for delays in their payments. It is estimated that Kitterman's performance extended the life of the faltering Ponzi scheme for an additional six months, during which time investors paid in an additional $100m. She is the only Rothstein defendant to compel the US Attorney to go to trial, to prove his case ; fourteen other defendants have reportedly all pled guilty, including Rothstein, who drew a 50-year sentence. Wire fraud is a 5-year felony, but the defendant could be sentenced to serve multiple consecutive prison terms on the three counts. If the Court wants to send a message to the other potential defendants in the billion dollar fraud, she could get a sentence of more than five years. Rothstein was himself called as defense witness on the case. He stated, while on the witness stand, that government prosecutors have not been in contact with him for more than a year. This does not bode well for Rothstein's quest to have his sentence reduced, for Substantial Assistance. It is believed that Rothstein lied to prosecutors about the fact that his wife concealed, and later sold, valuable jewelry, which the Receiver of Rothstein's failed law firm was seeking, to repay victims of the Ponzi scheme. If the government does not have any faith in his credibility as a witness, then he may not be called to testify against any of his former law partners, who have not yet been charged, and thus lose any chance for a sentence reduction. The Sentencing Reform Act requires Federal defendants to serve 85% of their sentences. A US District Judge in Connecticut has denied the multiple defensive motions filed, in the Receiver's civil action to recover $170m paid out to companies controlled by Venezuelan businessman Moris Beracha, by convicted hedge fund Ponzi schemer Francisco Illarramendi, and the civil action will now move forward. The Court held that the corporate entities had submitted themselves to jurisdiction by filings with the Securities & Exchange Commission, and that personal jurisdiction, through service of process, had been effected upon Mr. Beracha. If you are not familiar with this case, please access my previous article here*. In the criminal case against Illarramendi, the Court has set his sentencing for April 10th, 2014; apparently, the substantial delay was due, in large part, to the problems encountered in calculating the exact loss suffered by the victims, which was reported to the Court as having been completed recently. As I have previously stated, it is not known whether Mr. Beracha has been indicted in that case, as such charges are generally sealed, and unavailable to the public, so long as the defendant remains a fugitive from justice. Beracha is currently residing in the Dominican Republic, and has not returned to the United States, though he owns property there. I have an ethical dilemma with one aspect of the civil case; Moris Beracha is being represented by Adam Kaufman, formerly the Executive Assistant District Attorney in Manhattan, but who is now a prominent attorney engaged in private practice. When Mr. Kaufmann was in the District Attorney's office, he reportedly reviewed a substantial amount of the evidence against Mr. Illarramendi, which was made available to the Manhattan office first, and he is believed to have been among those instrumental in forwarding these documents to the US Attorney in Connecticut, which apparently resulted in Illarramendi's indictment. 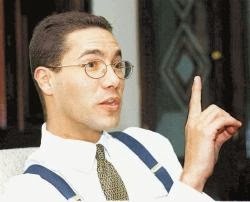 Given that there is a good possibility that Beracha will be, or has already been, indicted in the Illarramendi case, his attorney of record had the privilege, while a prosecutor, of examining documentary evidence against Illarramendi which may be relevant to his client's role, which allegedly was to facilitate the Ponzi scheme, and to keep it alive longer. *Will prominent Venezuelan Businessman be charged in massive Connecticut Hedge Fund Ponzi Scheme ? (2) Conspiracy to Smuggle Goods. For the purposes of reference, the two Guatemalan exporters were Sarino SA and Montoro SA. Whether the defendants were engaged in the repatriation of narcotics profits cannot be learned from the court file to date. The Court denied the US Attorney's request for Pre-Trial Detention, and set a reasonable bond for the defendants. Compliance officers should be aware that US law enforcement is actively looking for import/export firms involved in trade-based money laundering, and it is in your best interests to be alert for the numerous red flags of this activity. I suggest that you view the resource at International Trade Alert**, which offers a reasonably-priced software solution to ascertaining whether a client is engaged in trade-based money laundering. I am not affiliated with the company, but am familiar with its products, which are extremely useful in the real-time determination as to whether your client is engaging in this from of money laundering. * US District Court, Southern District of Florida. State-controlled media has identified an individual it asserts is the third money launderer-turned-billionaire in the unfolding gold-for-oil corruption scandal in Turkey. An Iranian state website, which first named Reza Zarrab, arrested in Turkey, and Babek Zandjani, reportedly in custody in Iran*, has stated that Mohammad-Reza Rajaieh, is the third guilty party in the scandal. 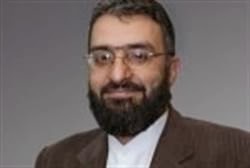 He reportedly is, or was, a director at Sarmayeh Bank, also known as Bank-E Sarmayeh, which was declared an SDN by OFAC on 12 July, 2012. Readers not familiar with the case can access my prior articles here**. * He is alleged to have close ties to the Iranian Revolutionary Guard Corps (IRGC). Why is Iran so Late to the Party in the Turkish-Iranian Sanctions Evasion Scandal ? When I served as a compliance officer, conducting enhanced due diligence on high-risk clients, I found that two hands were not enough for the tasks that I wanted to perform. Searching commercial off-the-shelf high risk databases, Google, public records, and other resources, all demand your strict attention, lest you miss something. I know that some compliance officers use two monitors, and two computers, simultaneously; other use their IPhone on one hand, while typing on their PC or Mac, with the other. Hands-free would be the ideal way to conduct inquiries, but voice-activated software is not always appropriate, or useful, when the information you are seeking, or your target, was originally in another language, or still is. What to do ? 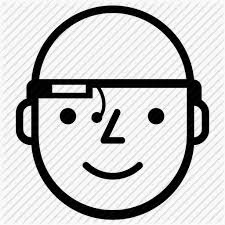 This week's news included a small article, detailing how the New York Police Department is now testing the sue of Google Glass, which is not only hands free, and voice activated, but goes with you everywhere. The police want to see whether their officers could benefits from real-time information retrieval on subjects they encounter on the street. 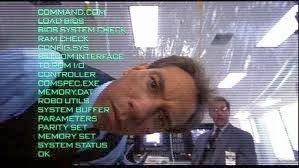 If you remember the original film, Robo Cop, or have seen the remake, you know that law enforcement's use of instantly-available information, for the officer on the beat, would be a vast improvement over presently-available technology. Therefore, one wonders which bank's compliance department will now decide to road-test Google Glass. I, for one, think that it will speed up CIP inquiries, and permit a compliance officer to escape his tether to the PC desktop. It might even allow compliance officer to utilize their commuting and travel time, (if they use public transportation) to work on their files. 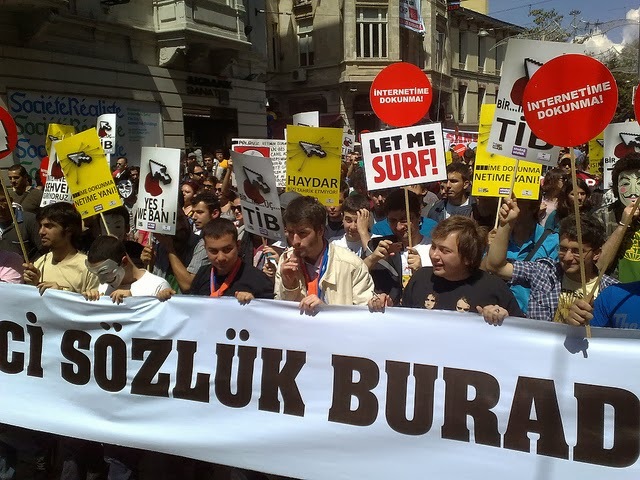 New legislation approved by the Turkish legislature this week will allow the government, through its telecom agency, to block any websites without prior court approval. It also requires ISPs to keep records on all web users' access for two years, and to deliver this information to the government, without notifying the user. There is a well-founded fear that private websites that expose governmental corruption, or any negative information that portrays the government, or any PEPs, in an unfavorable light, will be blocked. This means that you, as a compliance officer performing due diligence, or enhanced due diligence, could be denied the truth about your subject. 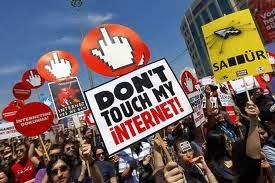 Street protests about this new law broke out this week, as members of the Opposition, and their supporters, are upset that their Internet pipeline to information will probably be restricted, and the identities of visitors to websites displaying governmental corruption will become known. Protesters want information about bribery and corruption in government to continue to be freely available. If compliance officers cannot get negative information from Turkey, then Country Risk levels shall be increased. 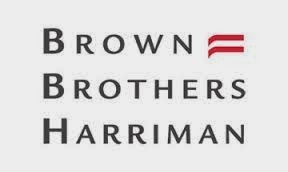 Brown Brothers, Harriman & Co. (BBH), reportedly the oldest American investment bank and securities firm, has been fined a record $8m, by the Financial Industry Regulatory Authority, for major AML compliance failures. Furthermore, its former global AML compliance officer was fined $25,000, and suspended for a period of 30 days, during which period he cannot associate himself with any FINRA member, in any capacity. (1) There was a failure to have an adequate AML program in place to monitor and detect suspicious transactions. (2) There was a failure to sufficiently investigate potentially suspicious activity, and to file SARs. (3) There was no adequate system to prevent the sale and distribution of unregistered securities. (A) More than one billion shares of stock were sold, on behalf of undisclosed customers of foreign banks located in known bank secrecy jurisdictions. (B) Securities were sold, without reference to whether they were registered with the SEC, or were exempt from registration. (C) Sales for customers who appeared to be engaging in securities fraud were processed. I practiced securities law in my youth, and these actions were outrageous. I wonder why there was no indictment filed against the company. (A) There was no AML program testing. (B) There was no real AML training of staff. (C) Effective independent audit of AML programs appears to have been evaded. (D) Customers whom BBH could no longer do business with changed their corporate name, and then proceeded to renew their business relationship with BBH, as there was no tracking program in place to identify such customers. In accordance with SEC practice, BBH neither admitted nor denied the factual allegations, but it did execute the Letter of Acceptance, Waiver & Consent. I leave it to you to judge if this constitutes an admission in your mind. I cannot understand how the BBH compliance officer, who is experienced and well-respected in the compliance field, and whom your writer has spoken to at conferences and seminars, could have failed to see these shortcomings, and I can only conclude that senior management engaged in these illegal policies, over his objections. The extent of AML and securities violations indicate a corporate culture bent on totally disregarding all best practices compliance policies and procedures. I leave it to others to adjudge whether compliance malpractice was committed here. Should he not have resigned when BBH failed to implement his recommendations ? Do you have the strength to do so if this happened to you ? This is not the first time that regulatory agencies have found anti-money laundering compliance problems. In 2007, State of New York regulators ordered BBH to implement and maintain an effective program for AML compliance. The compliance officer sanctioned by FINRA came on board shortly before the regulatory demands on AML, but the FINRA report alleges systemic failures over the past several years. 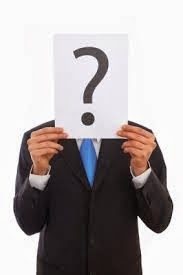 The FINRA report notes that the compliance officer is presently with an affiliated company, but does not disclose its identity. My 2007 article about the BBH AML deficiencies, which reminded the readers that the firm had prior issues, dating back to reported Trading with the Enemy Act violations, during the Second World War, involving businesses in Nazi Germany, was apparently not well received at Brown Brothers Harriman, for its representatives complained about its inclusion, and relevance to present day compliance. All prior misconduct is relevant, when regulators weigh the level of civil fines and penalties, and whether there actually was a good-faith effort to comply with the law. Obviously, BBH needs to implement a completely different approach to both anti-money laundering, and securities law compliance, one that is independent from both the profit-seeking objectives of the company, and from the company's customer relationship officers, who clearly trumped any effective compliance, in favor of accepting business that should not have been accepted. Perhaps they need to recruit a few former money launderers, and securities fraudsters, and put them to work cleaning house. If you saw my recent article, on the arrest of two Bitcoin sellers in Miami this week there has reportedly been another arrest, in another new money laundering case. 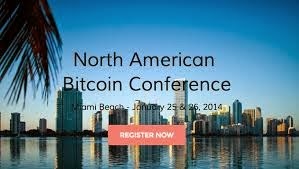 It appears that all those arrested were attending the North American Bitcoin Conference, which took place last week on Miami Beach. Please refer to the prior article*, in which undercover agents stated that they were purchasing Bitcoins for the purpose of laundering the proceeds of crime. The arrests, which were made by Florida law enforcement agents, are said to have resulted in charges of violations of the Florida Money Laundering Act, Fla Stat §896.101. Additionally, the defendants are said to be charged with operating as an unlicensed money service business, a violation of Fla Stat §560.125. These are both felonies and, based upon the amount of money involved, can be considered felonies in the first degree, which is punishable by a term of up to 30 years' imprisonment, See Fla Stat §775.082. 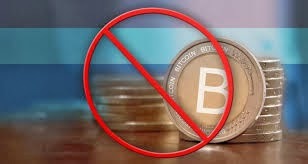 If it is indeed the intention of US law enforcement to regard Bitcoin transactions, where US Dollars are exchanged for Bitcoins, as the actions of a money service business, then Bitcoin exchangers will need to obtain state licenses, as MSBs, in every state where they, or their clients, reside. This could cause serious delays in operating any sort of Bitcoin purchase or sale, and also be prohibitively expensive. There is also no guarantee that state agencies would choose to issue the licenses to the applicants. 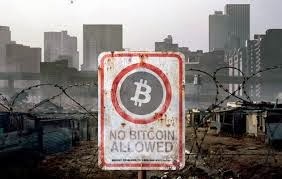 Will these law enforcement tactics shut down the Bitcoin industry in the United States ? We cannot say, but we will be watching. 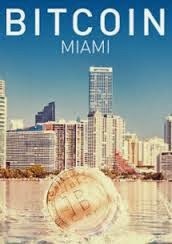 Two individuals have been arrested by the Miami Beach Police, after they entered into two separate transactions to sell Bitcoins to undercover officers, who were posing as criminals who stated that they wanted to launder criminal proceeds through the electronic currency. Expected to be charged, under Florida's money laundering statutes, were Pascal Reid and Michel Abner Espinosa. The defendants, who were the subject of a sting conducted by The Miami Electronic Crimes Task Force, (MECTF), are believed to be the first case of its kind in the United States. is this case the shape of things to come ? Are Bitcoins being targeted by US law enforcement ? Only time will tell, but the risk levels for Bitcoin transactions in general just increased a bit. There was a Bitcoin conference on Miami Beach last week, and it is possible that the agents found two willing sellers there. Judging by the fact that a specialized law enforcement task force was involved, any individuals or companies involved, in any way, with Bitcoin sales, should obtain a sworn Source of Funds affidavit from their client, The problem is, I sincerely doubt that any of the buyers will provide one.